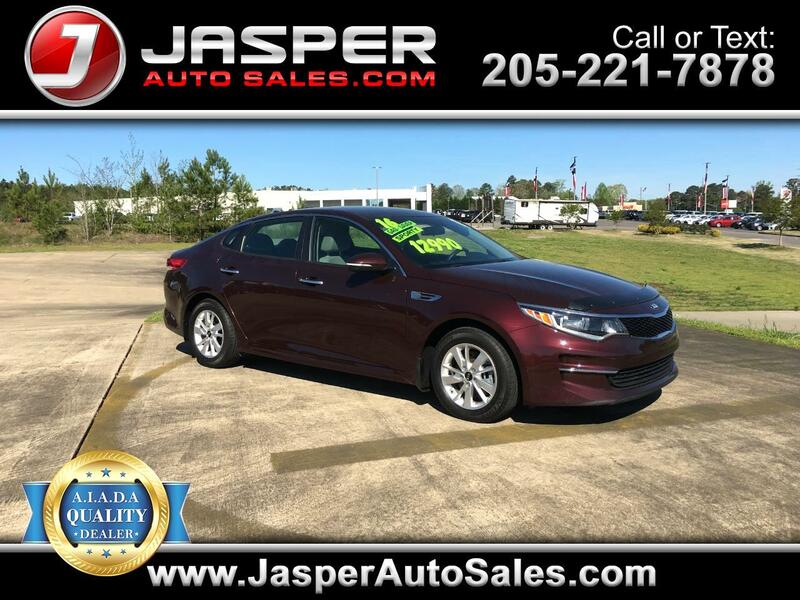 Sangria 2016 Kia Optima LX FWD 6-Speed Automatic with Sportmatic 2.4L I4 DGI DOHC CarFax Clean No Accidents, CarFax One Owner, beige Cloth. My name is JP Windham and I would love to answer any questions you may have. Please feel free to contact me personally, at any time, 7 days a week, @: Cell (texts welcome) 772-979-6110...Office 205-221-7878...or by Email. Thank you so very much for taking the time to view our listing and I most sincerely look forward to ANY opportunity I may have to serve you! JP Windham. Message: Thought you might be interested in this 2016 Kia Optima.